More importantly, what are the benefits of hemp for your children, grandchildren and generations to come? 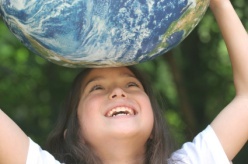 To put it simply, a thriving planet for the future. Hemp provides a wide-range of outlets to make better use of the Earth's resources. The power the plant possesses is one of the best-kept secrets regarding extreme usefulness, versatility and ease. In a society where promoting the protection of the Earth's natural resources, many are unaware that such a natural gem with a distinctive, renewable sparkle exists. Unfortunately, the absence in public response and ignorance is facilitated by a lack of knowledge that prevents the rest of the world from recognizing its shine. The benefits of hemp are so intense that it has led many to believe that the plant has the capacity to reverse the Greenhouse Effect; as well as aid in purifying the air, water, and soil. Not only does the plant offer an assortment of physical, industrial and economical benefits, but hemp also provides advantages in nutrition, farming and even body care. Save Trees: A worldwide switch to hemp plant paper could do wonders for the Earth. The planet smiles upon the hemp plant, which allows near-extinct species to no longer worry about losing their natural habitat. Additionally, hemp paper is much easier to make, costs less to generate and lasts much longer. A hemp pulp paper process (much like the procedures used in 1916) can replace the current production means of manufactured corrugated boxes, computer paper, and paper bags. The fiber produced in hemp is also four times more than the fiber that comes from pine trees. 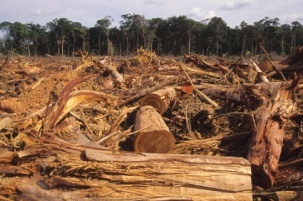 The destruction of trees may decrease when paper manufactures turn to hemp for their fibers. Hemp paper also provides the recycling capacity of up to seven rotations. Pine-pulp base papers are only good for three. Benefits of hemp farming: As a natural fiber, hemp is known as one of the longest, strongest, and most durable of the bunch. It is also one of the safest natural resources to maintain, as cultivation methods require no ecologically damaging chemicals, herbicides, or pesticides. Farmers may find a wealth of opportunities by embracing hemp plants, which fits right in with the rotation of other crops, including corn. Since hemp is easy to grow through a process that in fact strengthens surrounding soil, the plant is a clear friend of the planet. Many also believe the hemp plant could produce a biomass for fuel that would burn cleaner than other well-known ethanol selections.